Learning can be more fun with a game than a textbook. Dig-It! Games is back with another opportunity for your children to learn history while playing a game on their Roman Town (iOS) App. 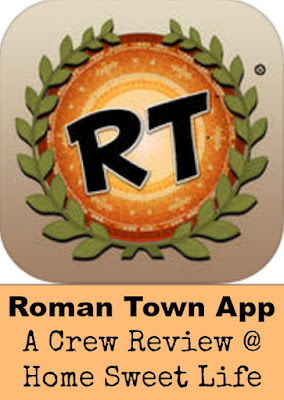 Arlene has been reviewing the Roman Town app for a few weeks, and despite a few bugs, it is a fun way to spend part of your afternoons. Like Mayan Mysteries, Roman Town is a good app for 3rd-5th grades, younger kids might not understand it and older kids might think it too simplistic. Once more you can be Charlie and Fiona and talk to the tourists and play games with them such as Memory Match plus several other puzzle games. Kids learn facts about ancient Rome from the Tourists while visiting different sites around the city. They also get clues to track the Mysterious artifact snatcher Ladrone from Mayan Mysteries. Putting together what you find to figure out what their next target is. Dig-It! Games was founded by professional archaeologist, and former Middle School teacher Suzi Wilczynski. For parents this should be an encouragement because each fact given as a clue, or in a conversation with a tourist, in the game has been researched for historical accuracy. To start off in Roman Town, you begin visiting with tourists on the street in Pompeii, then you can venture to the House of Vettii, the Baths, and the Temple of Jupiter. This app should provide you and your children with several hours work of fun learning. I had Arlene explain the game to me before I tried it myself the first time. I’m not much of a play a game on the computer or iPad type person, so I figured I needed some pointers. You can choose to play as either Charlie or Fiona. To successfully complete the game, you will end up playing as each character because you need all of their clues to unlock the final level. (I’m not that far yet!) Similar to other app games, there is background music, but it is surprisingly pleasant and not wearing on your nerves. As your character talks to the tourists in Pompeii, there will be pop-up voice bubbles that share the information. Here is where I differ from Arlene in age recommendation, as some of the terminology used would be difficult for many third graders. I would consider this more of a 5th-8th grade game, although I am sure your younger children would have fun playing it with you, or an older sibling, to help out in those parts. There are many mini games and challenges to play along the way. One of those is the game of Calcili, which may remind you of our modern-day game Connect-Four. I found myself working to beat the clock in the Roman Numerals challenge, as it has been a long, long time since I used those! The artifact ID game is one that gets progressively harder the more you get correct, so be ready for a challenge. Why not spend some time exploring Pompeii in an interactive way? 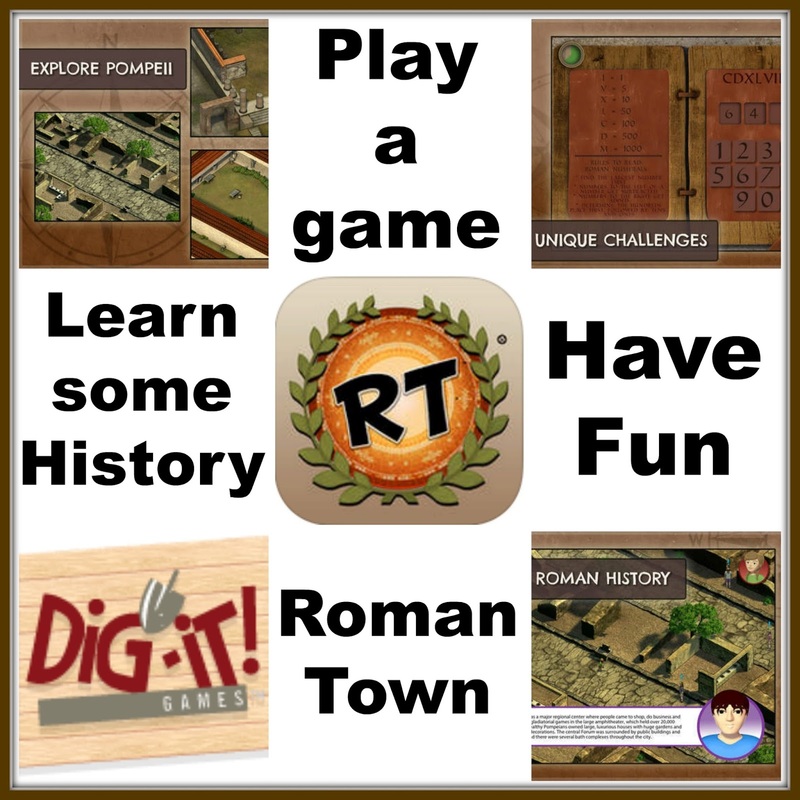 Visit Roman Town today! One of the fun things about being a home educator is getting to actually talk with the authors who write the books your students use. Emily and I were excited earlier this year to learn that one of Emily’s favorite curriculum writers, Sharon Watson, was producing a new Literature curriculum. Of course we both said “Pick me!” when the opportunity arose to review Illuminating Literature: When Worlds Collide from Writing With Sharon Watson for the Schoolhouse Review Crew. This literature curriculum has four pieces, which will be covered individually below. Let me just say right now that Emily is really enjoying it! 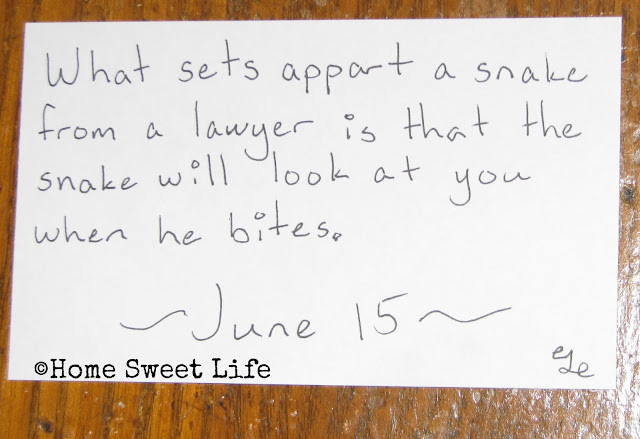 Sharon Watson is such a fun person to talk with, I just knew that would come across in her writing. The course objectives are clearly defined in the Teacher’s Guide but can be summarized in these two points: 1- teach literary terms and story elements, 2- develop a love of fine literature in the student through reading quality books and having memorable, fun, class sessions. The course is designed to be used in a group setting, perhaps a co-op or small group of students that meet in your home or at the local library. It can be used successfully by individual students to learn the literary terms and story elements, but without a vibrant discussion group the student will miss out. If you are wanting to use this with just one or two of your own students, we suggest you find another family that would like to join you for class time. Let’s start by covering the Teacher’s Guide ($16.49.) This 180 page softcover book contains detailed instructions for teaching a two-semester Literature class that meets once a month for a total of nine sessions. The class sessions are designed to last 2.5 hrs each. The class will read eight books, and for each of the books Sharon Watson includes a grading grid. The grid is comprised of seven different factors which add up to a possible 100 points, making assigning a grade an easy affair. Some of the points come from reading the book and completing the assignments in the Student Text, other sections cover the quality of class participation and discussion. The Teacher’s Guide includes all the prompts, questions, and background information needed for teaching/ facilitating the group sessions. It also includes the answers for the quizzolas the students will take for each book, as well as some possible answers the student might have recorded in their Novel Notebooks. A couple of side notes at this point. First: There are online “Yes, I read it” quizzes, Literary Terms quizzes, and opinion surveys for the students to take as a part of each month’s lesson. These are free with the keywords provided in the Teacher’s Guide and Student Text. If you prefer your student not spend time online for taking these quizzes, you will want to purchase the Quiz and Answer Manual. That will give you copyright access to reproduce the quizes and opinion surveys for your student to take on paper. I personally would purchase the Quiz and Answer Manual just to have all of the opinion surveys, quizzes, quizzolas answers, and possible answers readily available for me to reference as the teacher. The Quiz and Answer Manual is only $8.49, so it is quite reasonably priced. Second: If you don’t have the luxury of gathering students to use the course together, the course could be used by the student and parent, as long as you commit to reading all the books and lessons so you have meaningful discussions. Another idea is to form an online group to discuss the books and lessons. In the Teacher’s Guide, Sharon shares how in the past she has set up a secret Facebook group for the students in her class. 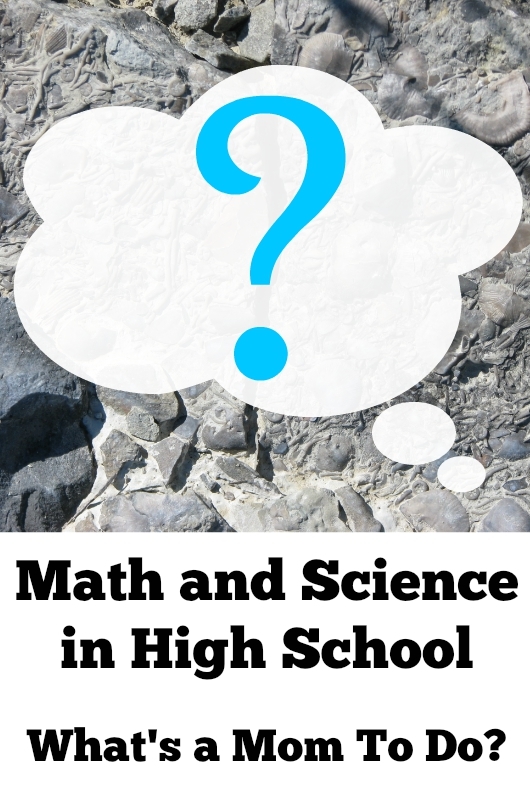 She includes questions and prompts for the teacher to post to keep the students encouraged and challenged to think deeply during the in-between weeks. I appreciate Sharon’s honest, wise words about everyone in the class using the same version of each book. It makes class time so much smoother if you can just say “turn to page 25 in Pudd’nhead Wilson.” To facilitate the use of the same version, Sharon has chosen specific, unabridged, low-cost editions of each of the eight titles. 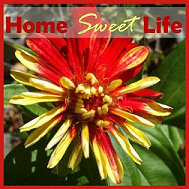 The ISBN’s are listed on her website and will link you to her Amazon store for ease in purchasing. 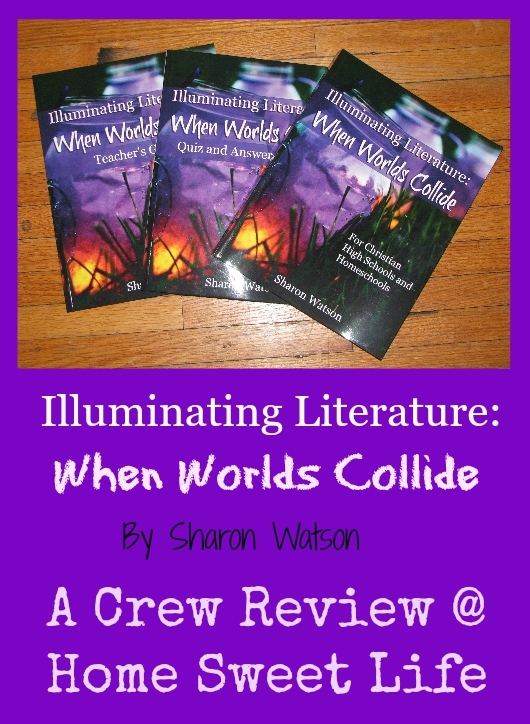 Illuminating Literature: When Worlds Collide ($39.49,) is a hefty 280 page softcover book that brings the student face-to-face with the authors and their stories. The lessons are easy for students to follow, and the book has plenty of room to write out their answers, plus a decent sized margin to jot notes if they want to ask their teacher something in class about a specific assignment. Just like in her other books, Sharon Watson writes this book to the students, not just for the students. It has a conversational tone, even as it covers a host of Literary terms, ideas, and thoughts. I’ve spoken with Sharon Watson in person at a couple different Homeschool Conventions. This past Spring Emily (17) spent a lot of time at her booth at our State Convention, as well as attending some of her speaking sessions. Sharon has a love of Literature and Writing that she wants to share with students. Her books focus on the basics of good writing and Literature that were taught in schools many decades ago, while using several newer presentation methods that keep today’s student interested in the course. For example, in the book when Sharon teaches the student about the Literary term Pseudonym, she not only helps them understand the concept, she asks the student to ponder and record what they would choose for their own Pseudonym. She also wants to know why they would choose it. 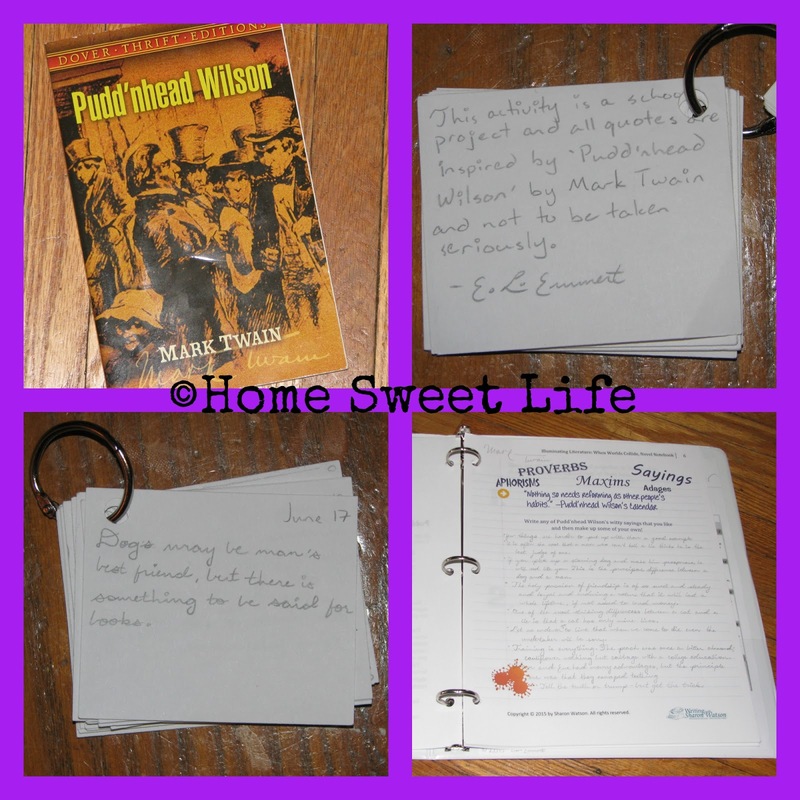 The first literary work the student will read in this course is Pudd’nhead Wilson by Mark Twain. There are four weeks’ worth of lessons for the student to complete before the next class setting. There is a suggested reading and homework plan included. The first week is learning about Literary terms and setting up further background on the story. Weeks two and three are for reading the book. During the fourth week the student chooses an activity to complete and takes those surveys and quizzes. Also found in Illuminating Literature are suggestions for further reading in the same genre as the book the student has just finished. There is one more, awesome, free resource you’ll want for this course! Sharon Watson has developed a downloadable PDF Novel Notebook for the student to use while reading the books in this course. It looks like stylized notebook paper, with places to write the student’s thought and answers about the books they read. It has just the right amount of variation in fonts, sizes, and page layouts to keep it fun for teens to use. It is printer friendly in that it looks great without using a lot of ink. I suggest you print it in color. In the Novel Notebook the student are encouraged to write memorable things from the stories. For Pudd’nhead Wilson they write out some of his witty sayings, or make up their own. 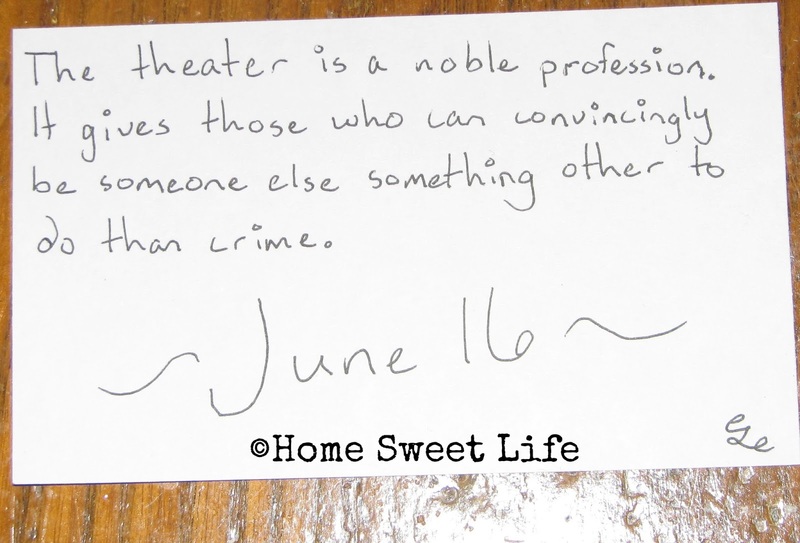 Here is one I found in Emily’s Novel Notebook: few things are harder to put up with than a good example. Also included are pages to write down things the student really loved about the book, as well as what they thought could have been better. We have had the Illuminating Literature: When Worlds Collide curriculum for just over five weeks. Emily is finishing up her second book, The War of the Worlds by H.G. Wells. It has been easy to get her to work on her lessons, even thought we’ve not yet officially started school again this year because she enjoys seeing what she will learn next. We have been discussing it some between ourselves, but mostly, Emily has used her friends as sounding boards for discussing the concepts covered, and group discussions to help her work on her activities. As much as she is enjoying it, I can see it would be even better in a group setting. For her activity for Pudd’nhead Wilson, Emily chose to make a calendar of quips and sayings in the same style as Benjamin Franklin included in his Poor Richard’s Almanac. She chose to make it for the month of June, and put it on a ring so it could be flipped through again and again. We tried to take pictures of it, but it was written in pencil and just didn’t photograph well. Emily graciously re-wrote some of them in pen for me to share with you. 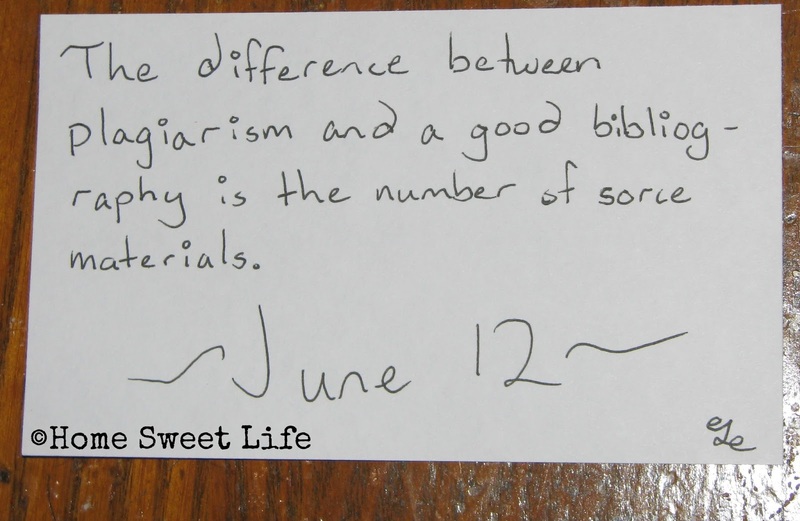 June 12 ~ The difference between plagiarism and a good bibliography is the number of source materials. June 15 ~ What sets apart a snake from a lawyer is that the snake will look at you when he bites. June 16 ~ The theater is a noble profession. It gives those who can convincingly be someone else something other to do than crime. I like Illuminating Literature: When Worlds Collide because of the wide range of style, period, topic, and character growth in the different stories. I like that we get to read about the authors’ life and times as well as rating the book when we’re done. It’s cool to see the many POV in a story and learn not only how to identify the writing styles but also how to use them. Applying topics to the real world is nice, along with the many assignments to choose from. My favorite so far was the chance to make my own Pudd’inhead Wilson calendar, and my friends and I had fun with our ‘rebuilding the world’ assignment from War of the Worlds. But I do not like thee Mr. Wells. We give a hearty two thumbs up to this latest work from Sharon Watson! On her website you can view sample pages from each of the four parts of the Illuminating Literature: When Worlds Collide curriculum. 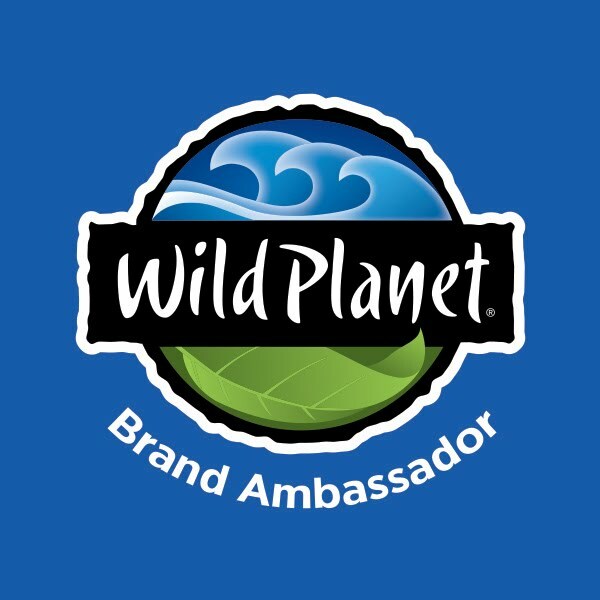 Check it out, you’ll be glad you did! If you will be using the course with eight or more students, contact Sharon for group discount on the student books. Literature class is no longer boring. Now it is fun and engages the students on many levels to develop a love of quality books! To read our past review of Sharon Watson's Writing Fiction In High School, click here. Now that it is almost time to start school again... shh ~ don't tell my girls ~... it is time to think about a planner. Actually, I've already thought about a planner for this school year, but maybe you're still thinking about them. I am thankful that I've been blessed to try several different planners over the years. I thought you might want to know just a little about some of them in case you haven't picked one yet! You could just go to your local teacher store and get a green lesson plan book... but most of us don't have 18-30 students, need a seating chart, or a section for 'notes for the substitute' -LOL! Plus, most of them are boring - like snoring. Why not pick something more fun?! If you're wanting to do a lot of lesson planning in your planner, you'll be looking for something big and beefy. 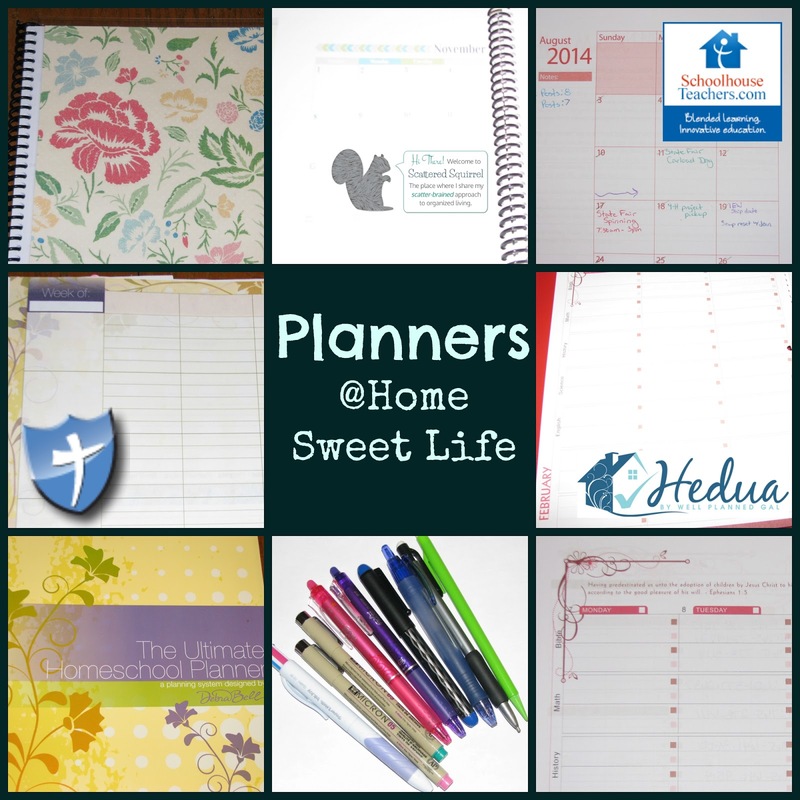 Good choices are the "Hey Mama" Planner from SchoolhouseTeachers.com, Well Planned Day Planner from HEDUA, or The Ultimate Homeschool Planner from Apologia. The Well Planned Day Planner works best for those with a more traditional school-ish day, as it has subheadings for classes like math, history, and Bible already printed in. The Hey Mama planner is great in that it has simple pages with LOTS of room to write, and spaces for several children. The Ultimate Homeschool Planner is possibly the most versatile of the three because it is undated, so if you don't start using it until September, you haven't lost two months worth of dated pages. You could even use it January-December if you want. All three of these planners have Bible verse sprinkled throughout, along with encouragement in the form of planning suggestions, and/or articles to read. For the Hey Mama Planner you will need to print it yourself, as it is not available as a bound copy this year. Many Moms like the online versions of planners, but I'm sticking with the pen and paper type ones for this post! If you are more of a write-down what we did, versus plan ahead type, any of these three would still be a solid choice for you. All three of these are full-page sized, although The folks at HEDUA do have a smaller On-The-Go planner available if you're looking for something to stick in your purse. For this year, I decided I wanted a smaller planner that I could take with me. I have two 3-ring binders that stay at home for the hefty papers that accumulate. One for the girls' education planning, and one for blog paperwork. For my smaller planner I collected pages from various online (FREE) downloadable resources and chose what I thought would be best for me for this year. I laminated some lovely scrapbooking cardstock that I had cut to size for the covers. Then I took my printed pages to the local PIP Printing store and had it spiral bound for less than $5. I do general planning for the girls' education by the months, so I don't usually plan out week by week. Since both girls are in High School, I require them to keep a record of what they have accomplished in each class each week. I often print off pages from the SchoolhouseTeachers.com's High School Schoolhouse Planner to help them with record keeping. Since I wanted a smaller planner for this year, I looked at a lot of online sites that have free or low-cost printables. There are SO MANY to choose from. I wanted half-size pages, and something colorful. In the end, I went with free ones. My current favorite site is scatteredsquirrel.com. She has tons of great planning and calendar pages to choose from, most available in both half-page or full-page sizes. Whatever you choose, find yourself a great pen, marker, or mechanical pencil to use just for your planner. As Moms we have a lot to keep track of. Having a planner you like to use makes for an easier day, and a thankful family! Disclosure: I wrote this post just for fun, not for money. 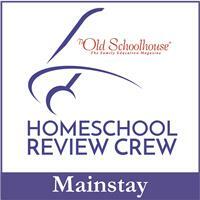 I am an affiliate for SchoolhouseTeachers.com. If you purchase a membership from them, I'll get a small (tiny) commission to spend on something extravagant - like printer ink. I included the other sites for your convenience. I have purchased and used both The Well Planned Day Planner, and The Ultimate Homeschool Planner for personal use in recent years. My dear friend Wren, from finchnwren.com has graciously written a wonderful post for us to read today. I hope you will be as encouraged as I was by her words! How do you hang on when tough times come? I always (not to brag) thought I had tough times handled. You know, surviving in crisis mode for a bit, then going back to my usual schedule. Oops! That was for all my OLD challenges. Not the ones that recently hit us. 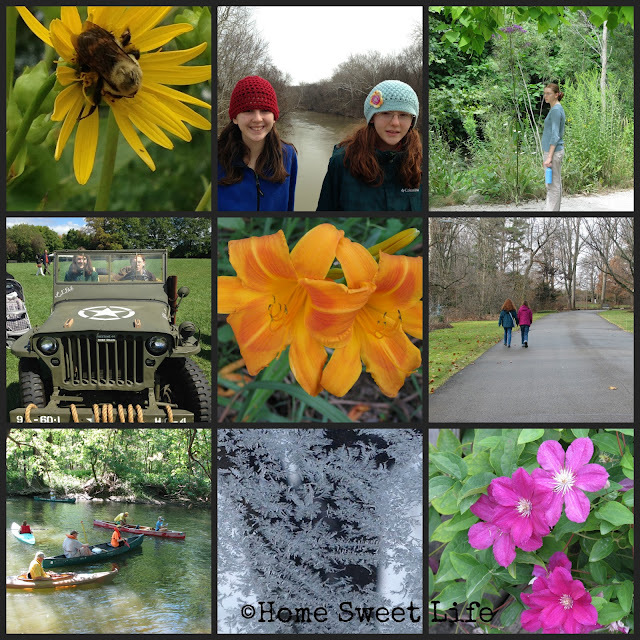 During the past few years, our family faced some brand-new and vastly unforeseen trials. In areas of life that we really thought we had covered; professional work and good health. Significant troubles in areas that we’d never expected to struggle in. (Okay, maybe that was naïve; but it honestly never occurred to me that we’d have the difficulties we did!) And they went on…and on…and on. Over this period of time, my faith and my trust in God really took a beating. Which in itself was a shock to me. As a former missionary, I had seen God do constant and amazing things. Even miraculous things. And I expected that of Him! But when the trials continued, as the prayers I prayed weren’t answered, the bright, shining faith that had characterized me became trampled and beaten down. I didn’t even recognize it…or myself. For a long time, and longer than I’d have imagined. We’re not completely out of the woods yet. But it feels as though we’re stretching our hands out to the other side. And I am changing the ways I try to move through these trials. 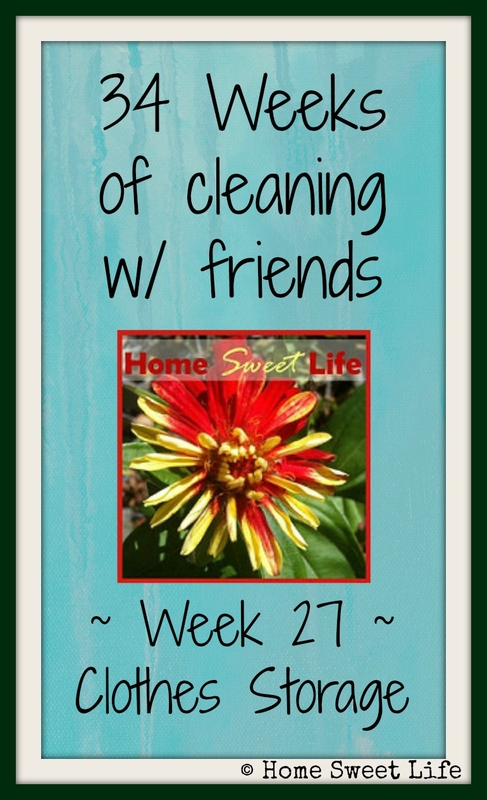 What a difference for me, my family, and my homeschool just a few habits can make! I wouldn’t wish hard times on anybody. But just in case they come…here are some habits which will stand you in good stead! Stay in God’s Word. This may the very last thing you feel as though you can do. I get it! I definitely had days where I felt like I was dragging myself out of bed. I’d head downstairs; get a cup of coffee; and get back in bed with my Bible. And I’d read. In another translation, it says that God’s Word will not return to Him void. And that’s what I need, for sure, whether it’s in tough times or good ones. I need a God and His words to me that I can always, always count on. There’s a reason (okay, probably many reasons) why God included 2 Corinthians 4:18 in the Bible. Here, it reminds me just where my focus should be. Not on my circumstances, but on the God who is beyond them who’s at work for my good. “So we fix our eyes not on what is seen, but on what is unseen, since what is seen is temporary, but what is unseen is eternal.” God really is doing something in our trials…even if it’s something we can’t yet see. Stay connected. Social events may not be high on your priority list when you’re struggling. And okay, maybe you don’t need to be attending a different gala every weekend. But don’t give up on connecting with your friends. Make that phone call. Go out for coffee. Set up a playdate for your kids with your good friend’s children. Just getting out into a different environment can encourage you and lighten your load. I was always surprised how much hanging out at the park with my friend while our kids played blessed me. It’s good for you….and for your relationships as well. Keep an eye on your own health. When we are in tough seasons, making sure that Mama is healthy can fall somewhere on the list below…well, everything else you have to do. It can seem so much easier to survive on caffeine and frozen dinners. But, you seriously cannot take care of your family and your homeschool responsibilities if you are not ensuring that you, yourself, are healthy. So…eat good food. Drink lots of water. Schedule your physical. Floss. ☺ This will bless and help you—and your family—not only in the long term but in the short term as well. Make family fun a priority (or fun for yourself, for that matter!) I have to admit that fun is generally on my to-do lists. Every day! But….like its effect on everything else, tough times can sometimes push fun out of my line of sight. I do have a son, however; and a husband who are going through this struggle with me. And they really, really benefit from lightheartedness, humor and fun. So….schedule in some play! It doesn’t have to be on a large scale. (Although trips to zoos can be amazing!) Play a game of cards. Or a board game. Watch a favorite family movie, or read a favorite book…together. Go to the pool, or the park. Just seeking out time to do something enjoyable as a family can really make a difference. For us, it also keeps us close. I am, in many ways, a pretty typical American. I admit that I do want the quick fix, or the fast turnaround. But life doesn’t always work that way, does it? 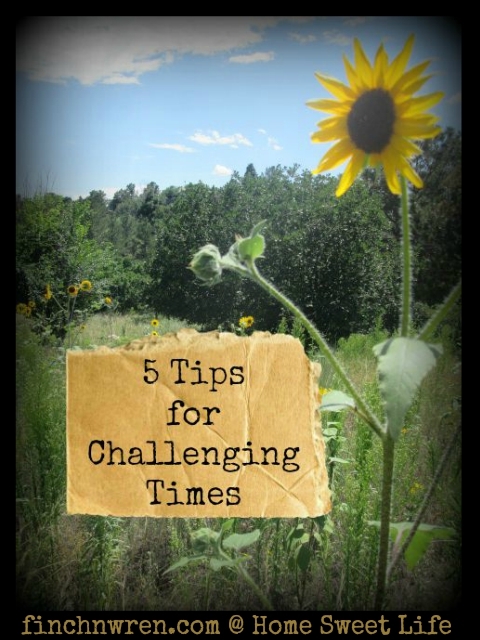 So when you’re in a hard spot for the long haul---try out my 5 tips. (And remember: I’m not a doctor, nor am I equipped to diagnose anyone with anything. I’m just hoping to share some habits with you that will make a difference. ☺)They have helped me, and my family, as we seek to persevere through tough times. Remembering that might be the best habit of all. 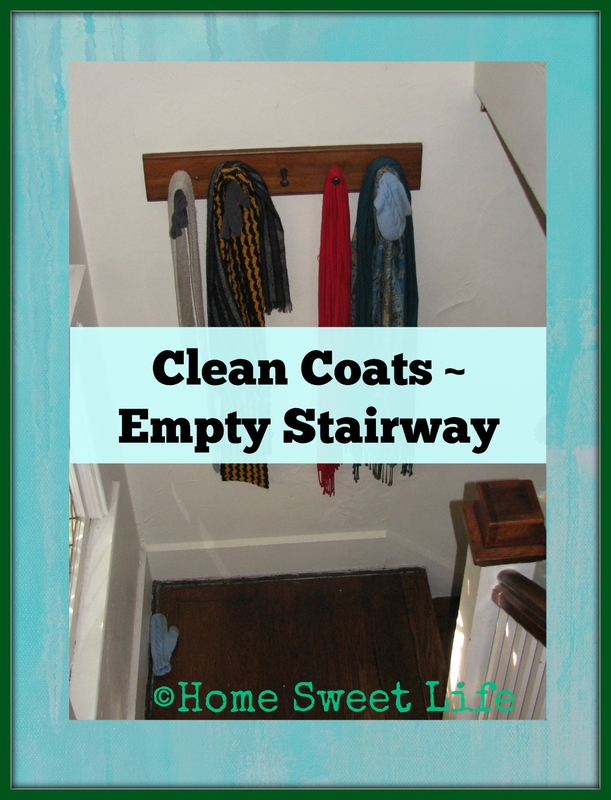 Our home is probably the cleanest it has been in years. How do I know that? The ceiling fans were scrubbed, along with the mini blinds. That's the kind of clean I'm talking about! During most of this cleaning I was at work, so not many pictures were taken, but I'll tell you a little about what they've been up to. The girls have been doing a lot of the little things that didn't get finished in earlier weeks. They've also been doing maintenance on deep-cleaned areas like the kitchen and bathrooms. The biggest thing they did without me was going through their clothes. We gave away several small grocery bags full of clothes, to friends, the local shelter, and a nearby art camp. Arlene also gave the winter coats their washing. Normally we would have done that back in May, but time just zipped by this Spring and it didn't get done until Summer. Instead of hauling the coats up to the attic for just a couple of months, they've taken up residence in the girls' closet. Sometimes September gets chilly so I saw no good reason to truck them up the steep stairs for just a short time. ...I suppose I should hand-wash my scarves and put them in my closet until Fall. Arlene should also take those renegade mittens and send then through the wash! The girls have also been doing a lot more yard work recently. They've trimmed the bushes, weeded the gardens, deadheaded the flowers, and trimmed the greenery along the driveway to make it easier for me to see when I back out of the driveway. We don't have a dedicated schoolroom (week 28) because a long time ago we decided the couch or the kitchen table was more comfortable than those little chairs the girls used to use. 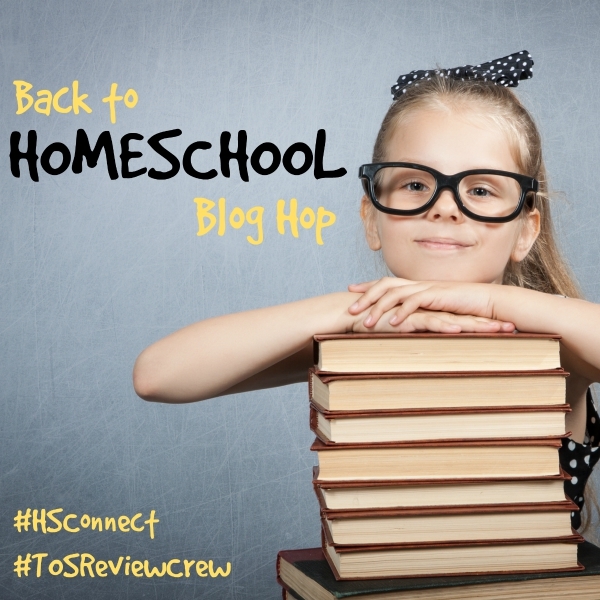 Thus, we featured cleaning your home before the school year begins as one of our posts in the Back to Homeschool Blog Hop. I'll try to get an update on what I've been working on done later this week. Until then - enjoy your summer! There is one thing we used to do that I really want to get back to this school year - Daily Nature Time! We used to take time almost every day to go outside. Sometimes we would sit on a blanket under the tree and read a book. Some days we would take a picnic lunch to the park. Sometimes when the weather was really, really bad, we would just sit and draw pictures of whatever fruit we had on hand. 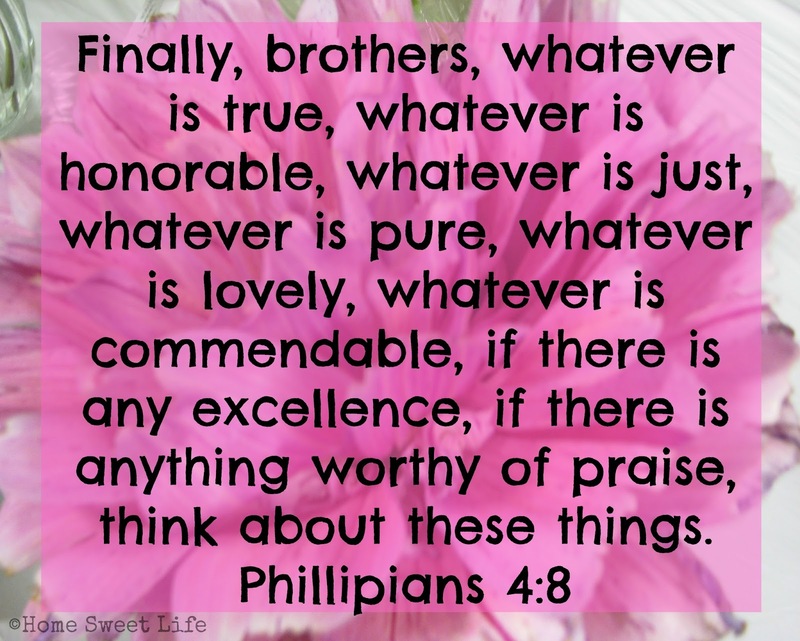 I think our girls need this daily time of refreshing back in their lives - I know I do! Our lives have been busy recently. I don't like busy. I like full, satisfied, fulfilling, even overflowing, but not busy. Making daily nature time a priority forces us to stop going and focus on just being. Stop going 40 places a week and start being Mama again. I'm writing this for myself, but you're welcome to keep reading along! Has there ever been a time when I regretted spending too much time in nature? Perhaps once or twice when we got sunburnt like lobsters. But, for the most part, I've been saddened by not spending enough time outdoors. It takes effort, especially in the winter. The thing is, all of life takes effort. Why not spend our efforts on the things we value most? If I want our family to spend daily time enjoying and appreciating the wonderful world that God has created, then I had better get myself in gear and make it happen! I've already been taking steps to make this foray a success. I've lightened the load of things I commit to doing outside of the home. I've told my boss that there is a strict limit to how many hours I can work each week. I've been unsubscribing myself from a lot of emails recently - those ones I never read anymore...and I've subscribed to just a few new ones. Those few new ones are those that encourage me to spend time outside. 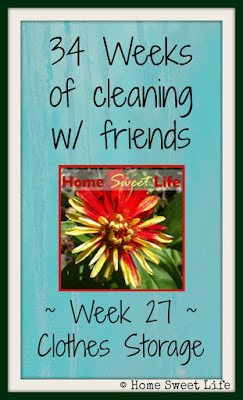 The girls have been helping me take care of the yard and gardens so they stay manageable. Small steps in the right direction. Last night we went to bed early, then got up just before midnight to watch the Perseid meteor shower for about an hour. This morning I was a little tired, but it was worth it! I don't want to just exist, I want to live. I want to appreciate the beauty of nature around me. I want our family to focus on the Creator Who gives us all we need for life and Godliness. The one thing I want to do better at this year - Daily Nature Time - is an attainable goal. What do you want to do better this year? Leave a comment and let's inspire one another!